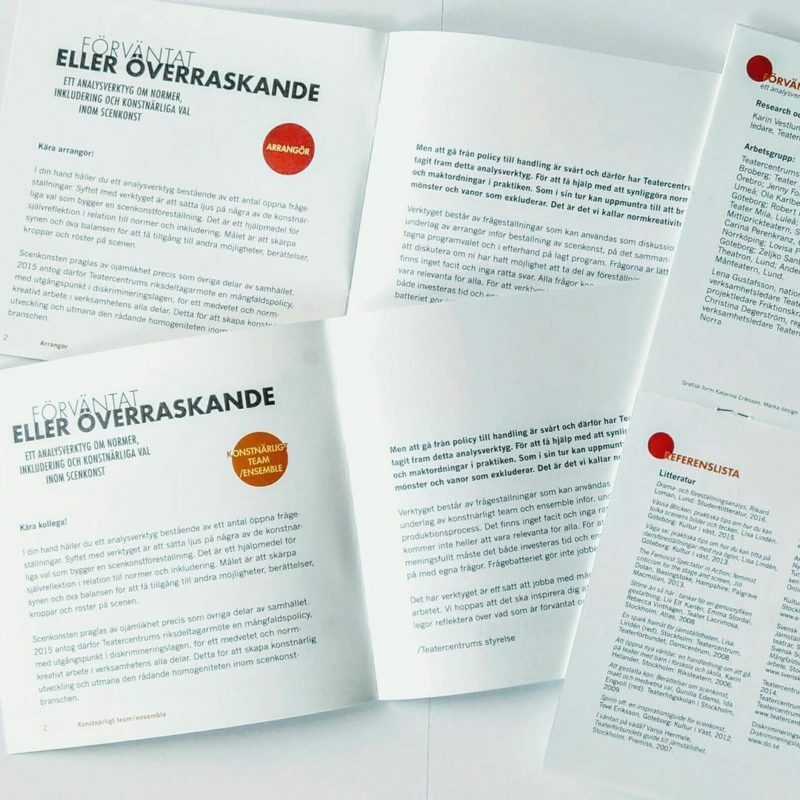 Brochure for Teatercentrum‘s project Friktionskraft, about diversity and inclusion on and off stage at independent theatres in Sweden. 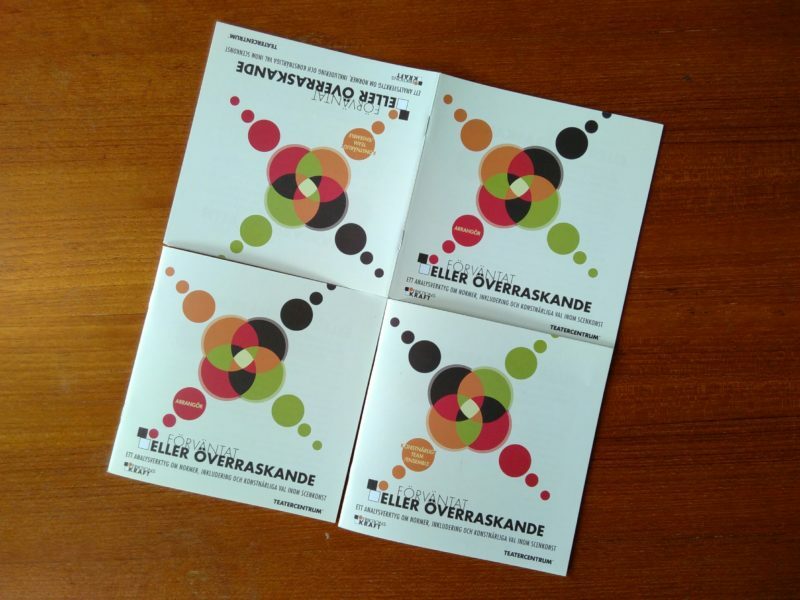 The graphics is a continuation of our logo for Teatercentrum, and the front cover shows motion and several colours, hinting at the theme of diversity. The colours used are from the logo and Teatercentrums colour profile. 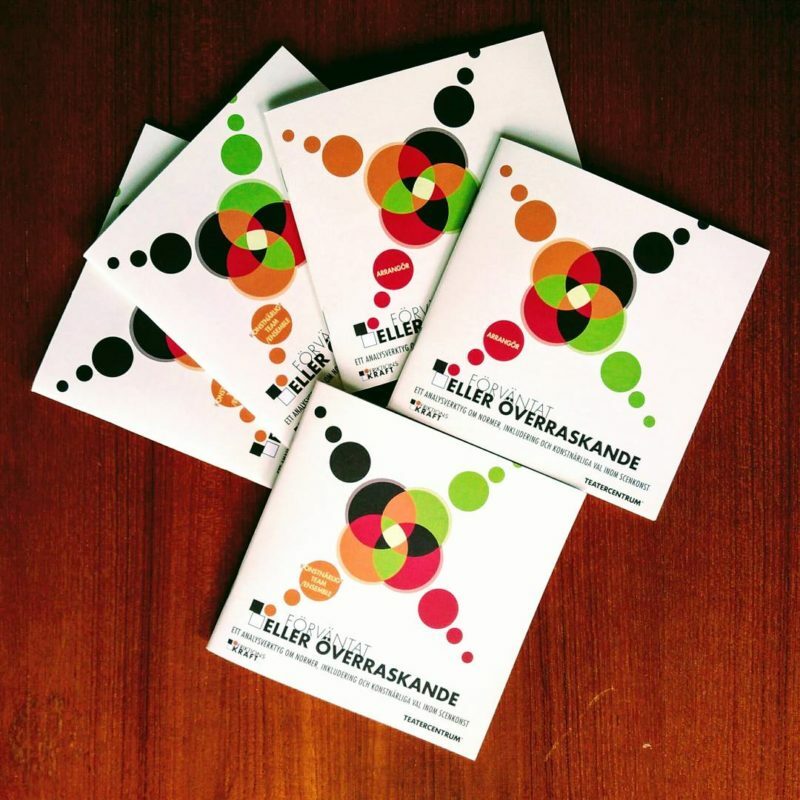 It can be read from both directions, turned upside down, with slightly different contents aimed at different audiences (on or off stage, to simplify it). Red and orange are used as the main colours in the respective sections, to which version their reading. The common part of references etc are on the middle spread at 90 degrees to show how they belong to both sections.